I bet you have heard about "clothes buffet" before right? It's quite a popular event where you only pay RM60 entry fee and receive a ziplock bag (empty one) and start hunting for as many clothes as you can to stuff it in within 15minutes. The best part? 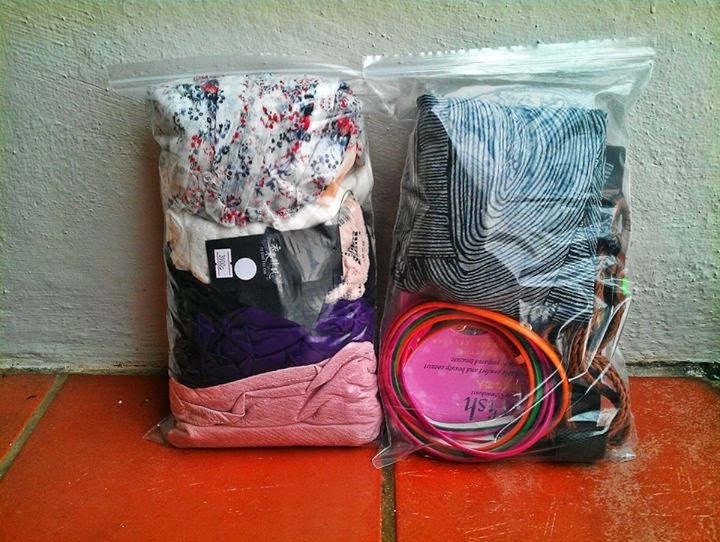 you get to keep whatever you manage to stuff into the bag! I can imagine practicing at home trying to figure out the best way to stuff more than 20 pieces of clothing into a ziplock bag without it breaking. Interesting? 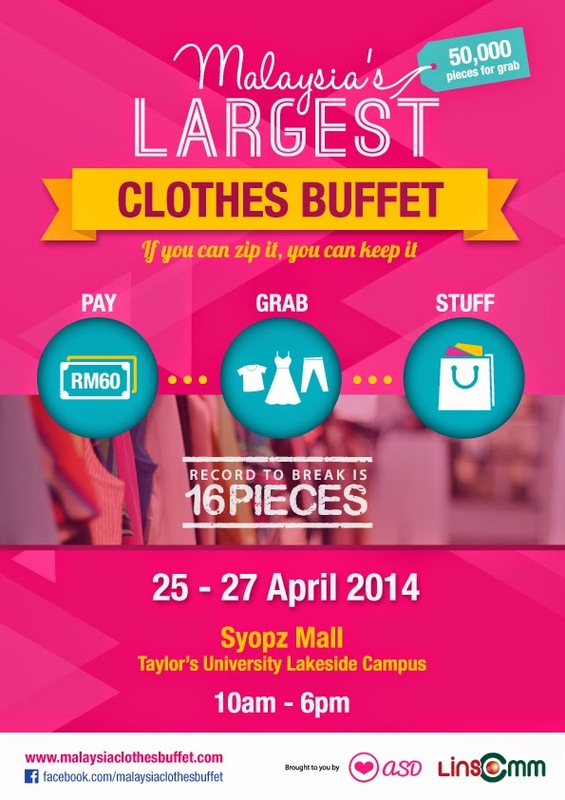 Well the Malaysia's Largest Clothes Buffet is happening next week 25th - 27th April, 2014 from 10am - 6pm at Syopz Mall, Taylor's University Lakeside Campus. Organized by LINs Communication and A Shopaholics Den, this event will make girls go fashion crazy rummaging through 50,000 fashionable pieces in buffet area for only RM60. 1 ziplock bag. 15minutes. 50,000 clothes. • STUFF everything into the bag and you're done! 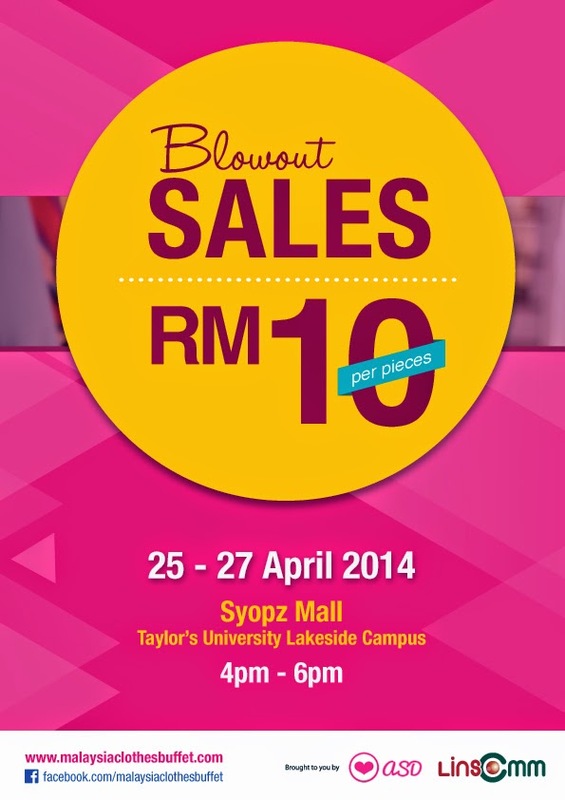 Then there's the Blowout Sale 4pm - 6pm during the period where each piece of clothing will be on sale for only RM10! Besides that there will also be a variety of stalls from participating fashion bazaar. Judging from the previous success of clothes buffet in Malaysia, I say you got to buy your tickets early to avoid disappointment!. 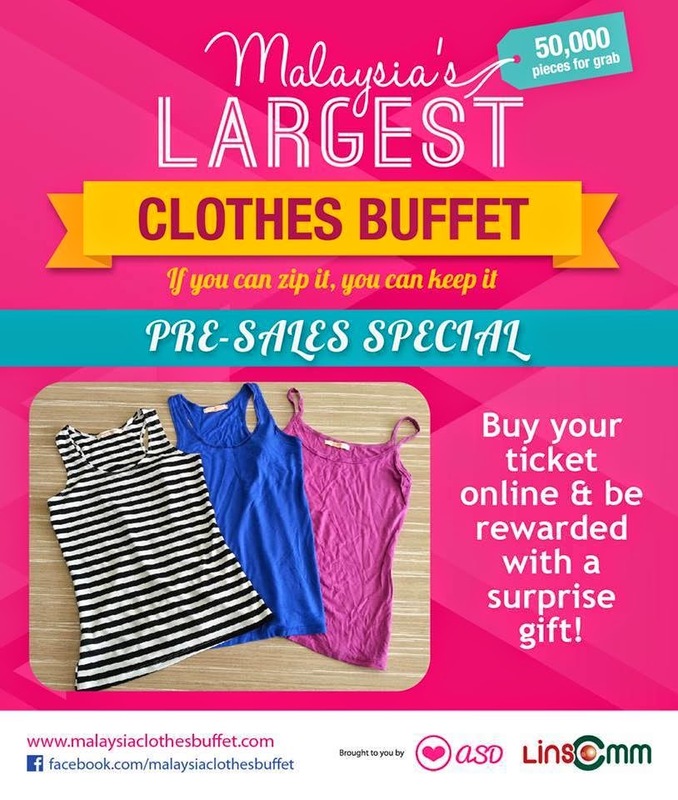 Get a free tank top when you purchase online from www.malaysiaclothesbuffet.com. purchase your ticket online to get a free tank top! Hi pretty, thanks for sharing, may I ask, normally how is the clothes quality and wat brand is tat pls? This is so awesome post.This is a really an informative post and I appreciate you for publishing this. Thanks a lot for publishing this post.